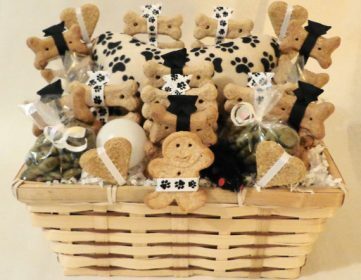 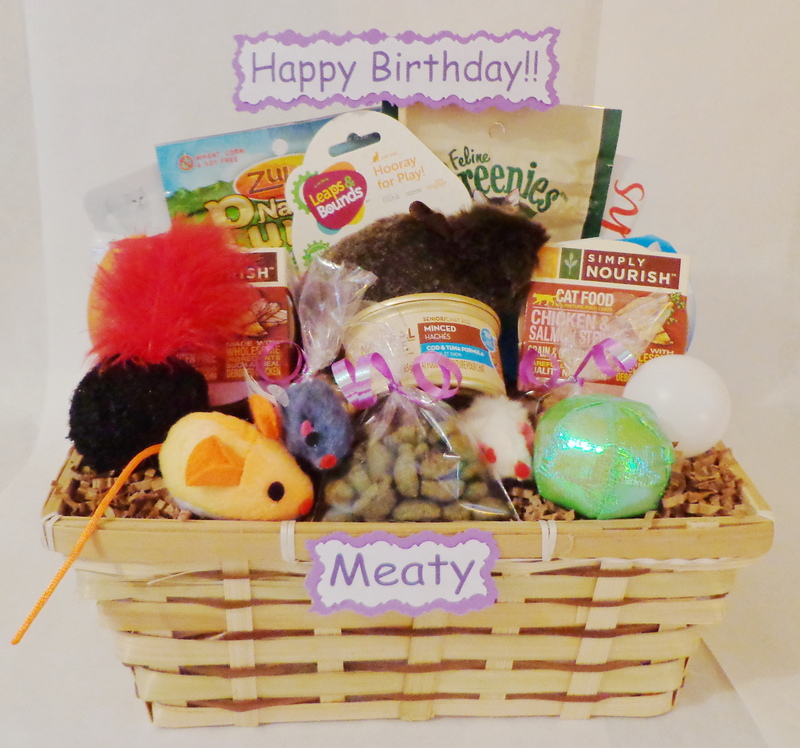 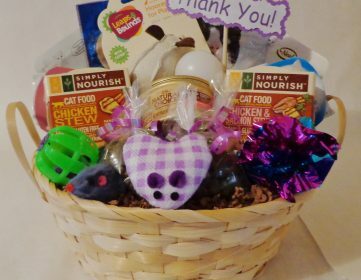 This is the perfect gift for a very special kitty or group of kitties! 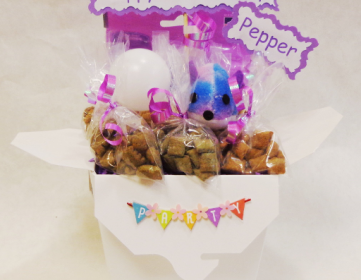 Contains 2 bags of treats (varying brands include Blue Buffalo, Cloud Star, Pure Bites, Greenies, Science Diet, Proplan, Whiskas, Party Mix and more! 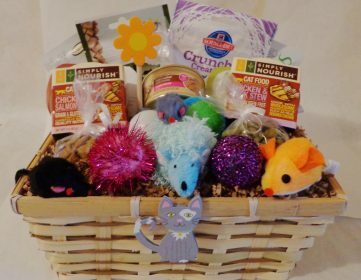 ), 2 Fancy Feast Appetizers, 2 Fancy Feast Broths, 7 cat toys (including balls, mice, cat nip, feather toys), and 2 types of grain free wet food single serving size (brands include Natures Recipe, Simply Nourish, Natural Balance and more), and 3 (1/2) oz bags of treats. 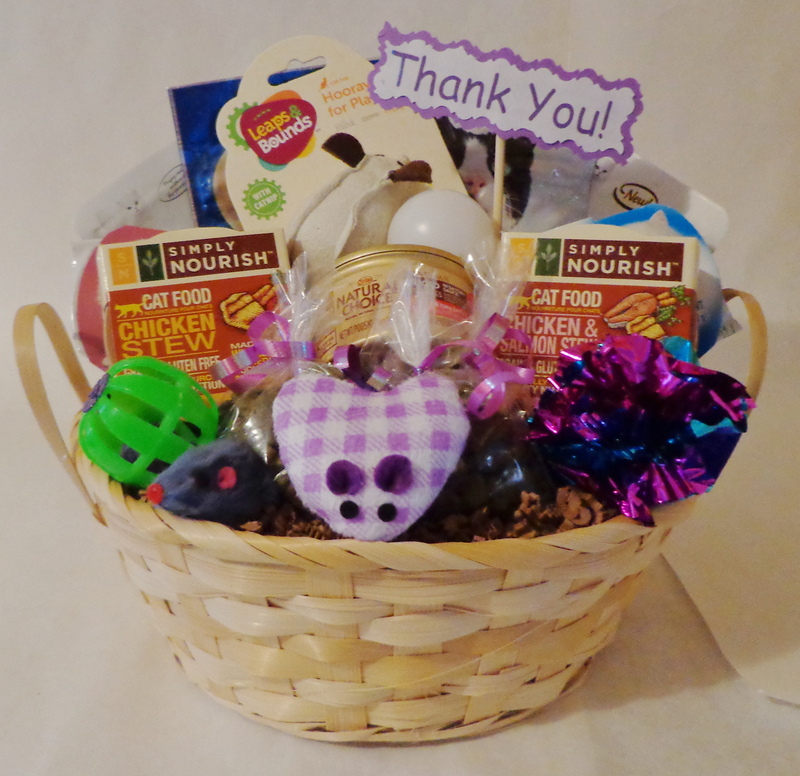 This basket can be made for any occasion. 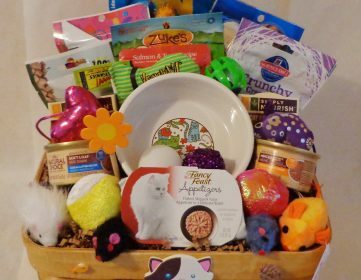 Basket style may vary. 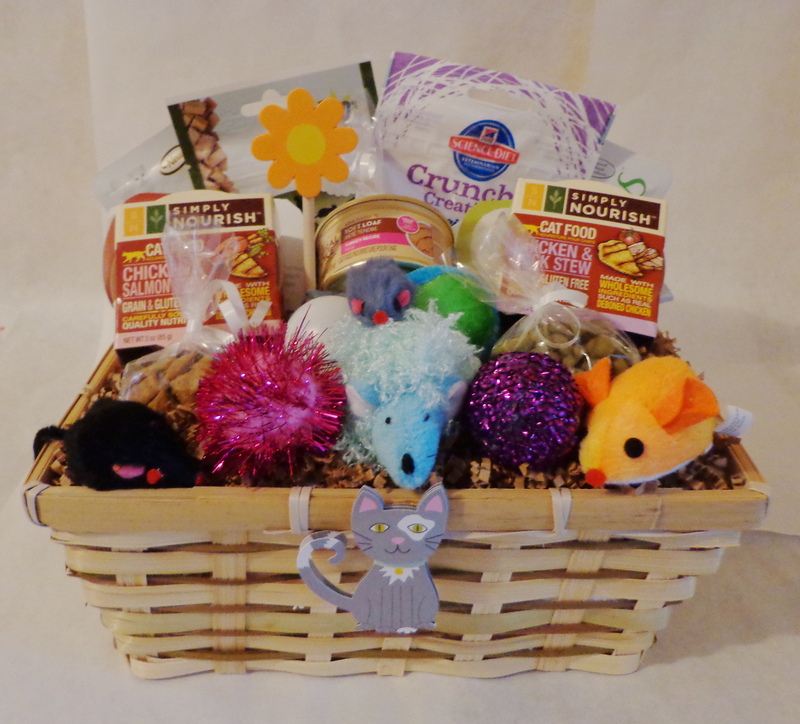 SKU: Medium Cat Basket. Category: Cat.